How Do Tattoos Work? Why Are They Permanent? 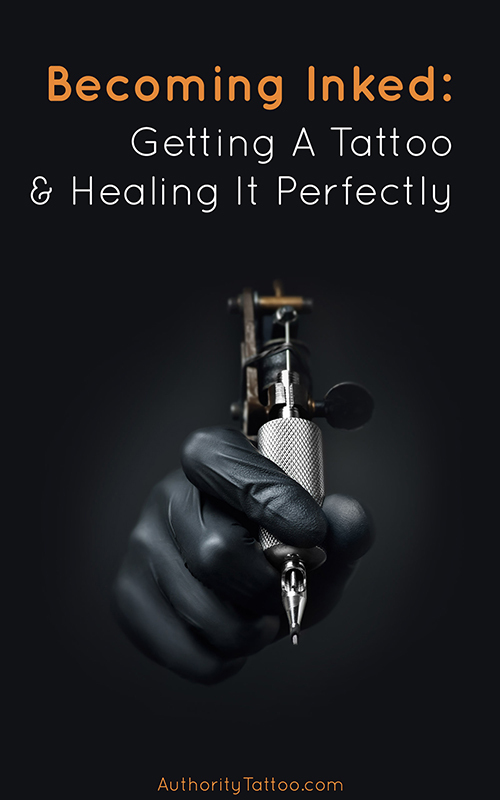 Tattoos have become more popular in recent years, but few people understand how tattoos work. This is something we aim to make a little clearer, so you have a better understanding of what a tattoo is. Tattoos are a form of artistic expression. They can display artistic freedom or be a part of a cultural tradition. 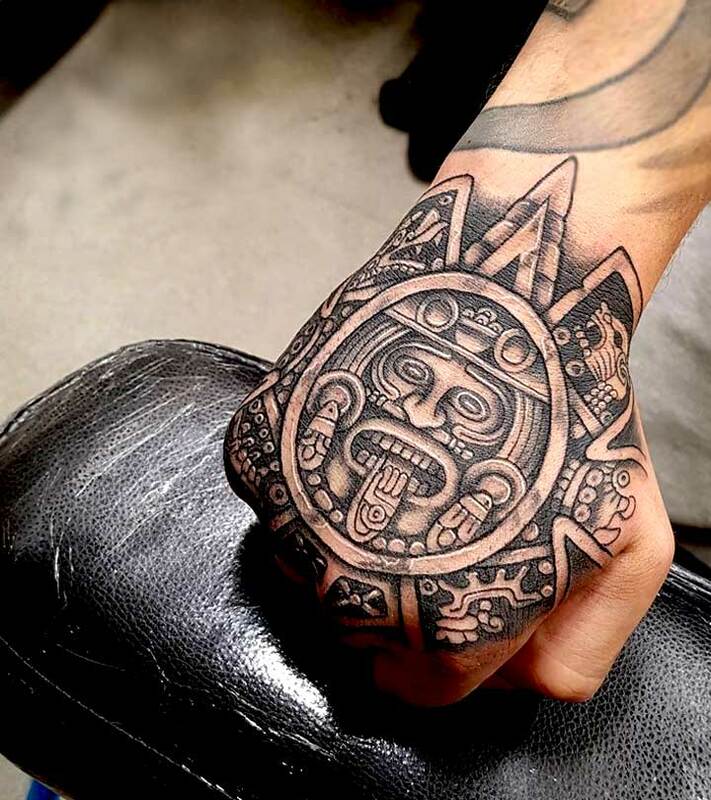 Many have personal meaning for the individual, and their tattoos become a narrative of their lives. Whatever the reason, we want to know more about they work. Artists apply tattoos using a mechanical machine operated by a foot pedal. These could have one or more needles (some machines use up to 35 needles). The machine works by pricking your skin. This can be between fifty and three thousand times per minute. Although it may feel like it’s going much deeper, it’s actually only penetrating one or two millimeters deep. 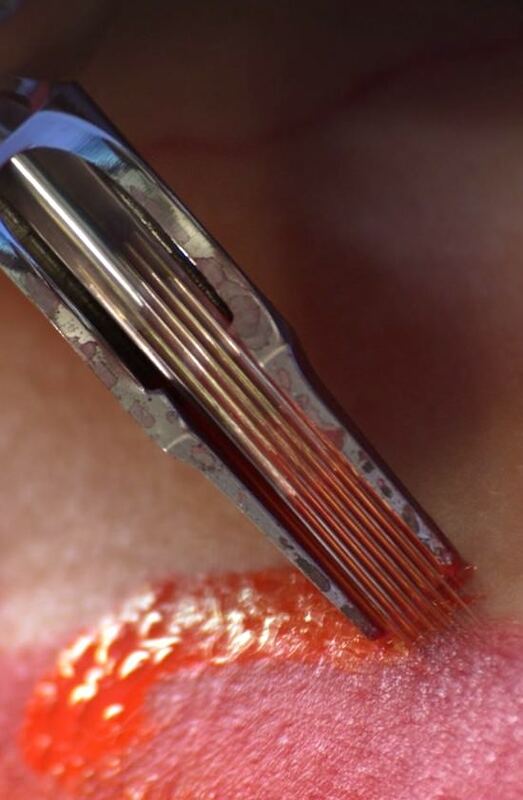 As the needle pierces through the skin, ink is deposited into the dermis. This is the second layer of skin after the epidermis. The body recognizes that the skin is being damaged and responds accordingly. White blood cells are sent to the area to deal with the invasion of the skin. They work by trying to absorb the invading foreign bodies (ink in this case) and attempt to get rid of them via the bloodstream. The pigment particles of the ink are too big for the white blood cells. This means they’re unable to absorb them and is why they stay on the skin. Some small particles are removed, but the majority will remain there permanently. As you can see from this, ink is an important factor in that the pigment particles need to be right. Another important aspect is how far into the skin the ink goes. If the ink doesn’t go deep enough and stays in the epidermis, you could end up with an unrecognizable image. As the body undergoes its normal process of regeneration, the ink could be carried away. This will leave you with something resembling nothing more than a blob. When the ink goes too far into the skin, this can cause blurred lines. This is because the pigment migrates further than intended. 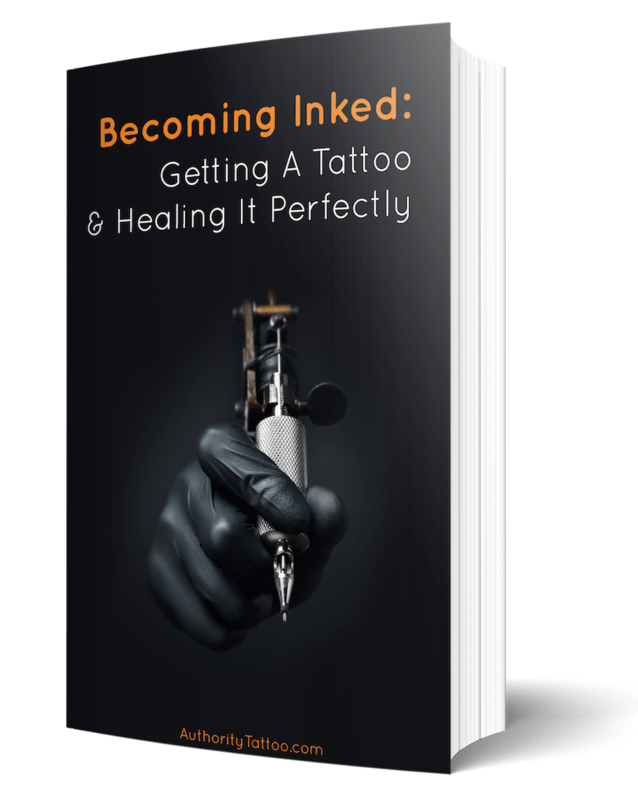 Getting the ink in the right place requires skill; it is not injected as many people believe. The needles on a tattoo machine don’t work like the ones physicians use. Tattoo needles have three or more points and the ink is held between them. When you see the artist dipping the end of the machine into the ink, it’s sucking it up between the needles. As the needle pierces the skin, the ink is then drawn down into the wound. The needles with fewer ends are more for outlining, and the ones with more ends are for shading and coloring. What Is Tattoo Ink Made From? Many of us have tattoos, yet hardly any of us know which type of ink was used. Tattoo ink is not regulated by the FDA, but they do offer advice. This means that, when we have a tattoo, we’re putting a lot of trust in the artist to provide us with a safe ink. Neither the use nor manufacture of ink is regulated. Realistically, they could contain anything. Tattooing is only regulated by the local jurisdiction. There are many different brands of ink and their ingredients will all be different. Combinations are made according to the color of the ink. All inks are made up of two compositions: pigments and their carrier. Other ingredients may also be used for the pigments, to make up the coloring agents for the ink. Ingredients that were used previously in inks included chemicals that were hazardous. Some used in black inks were found to cause skin cancer in animals. The more vibrant colors included a plastic-based substance which was causing allergies. Some cheap inks or homemade inks are often made up of dirt, pen ink, and soot. Tattoo inks also include a carrier. This helps to carry the ink to the dermis of the skin. It will also work as a disinfectant to help prevent pathogens from growing in the ink. Getting a tattoo puts you at risk of not only infection, but of allergies too. 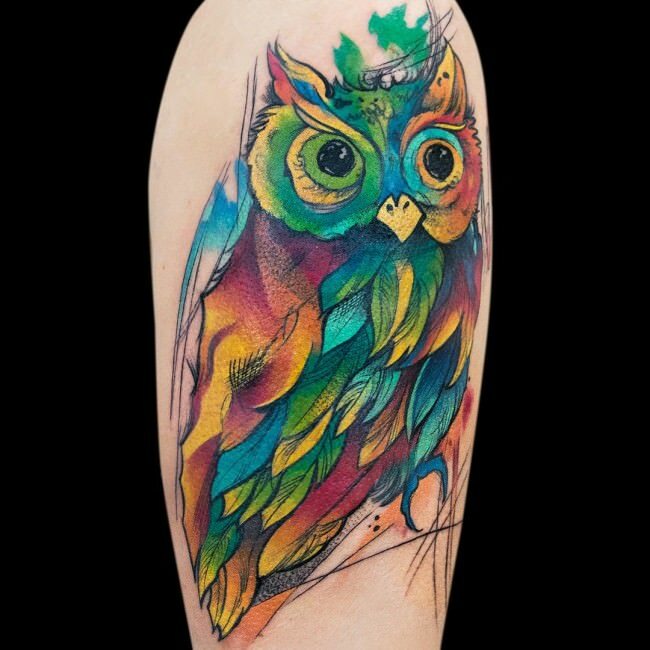 Make sure you choose a reputable tattoo artist who is known for using quality inks. If you are prone to allergies, ask for a skin test to be carried out beforehand. The most harmful inks tend to be the glow-in-the-dark inks and bright colors. Is It Possible to Remove Tattoos Once They’ve Been Done? Sometimes we make bad decisions that we live to regret. If this involves a tattoo, all hope is not lost. Years ago, if you made a mistake by having a tattoo, you just had to either get a cover up done or live with it. Now, things are different because you can have them removed. For this, you have a few options to choose from. 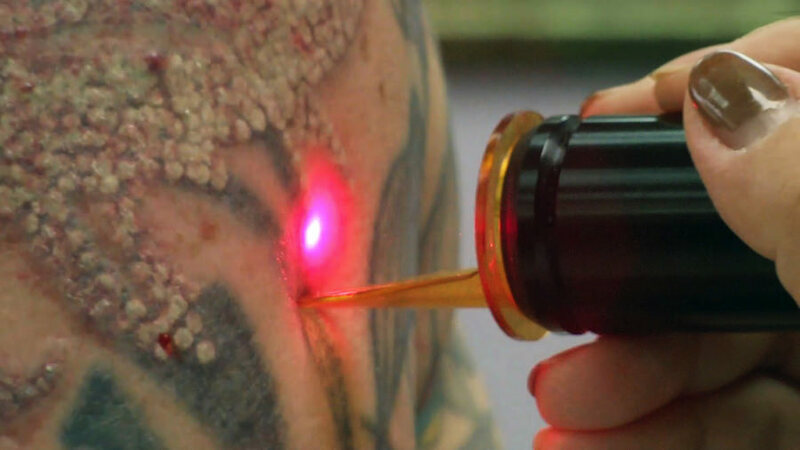 Laser tattoo removal is a popular method. Over the last few years, there have been many improvements to the technique. While it can be an expensive and painful method, it is very effective. 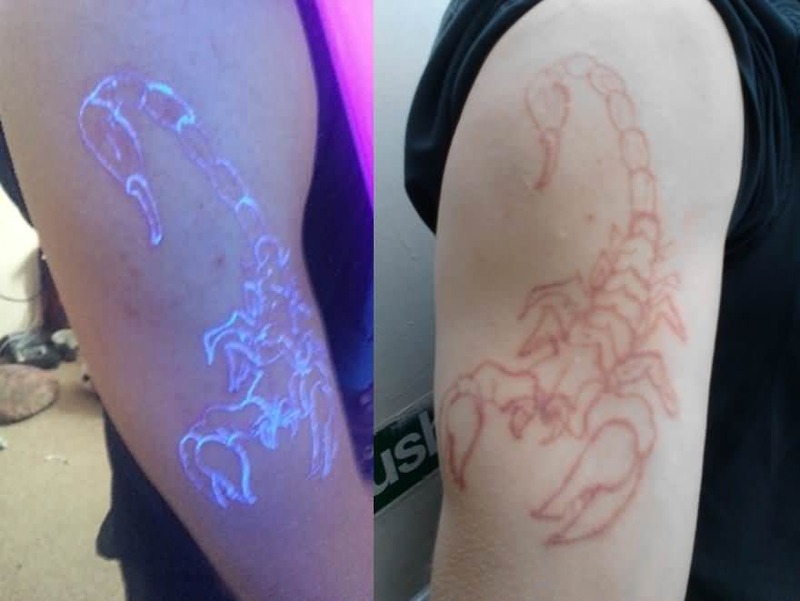 It works by using a laser that breaks the pigments of the ink down. Once the pigments are broken down, they are then small enough for the body to dispose of them. This is what your body has been trying to do ever since you got the ink. The size of your tattoo will dictate how many sessions this process will take. You could also opt for an instant fix of plastic surgery. This is where another layer of your skin is grafted over the tattoo to cover it. This is another popular method, as some people don’t like to go through the pain of laser removal. Some natural methods are claimed to be effective. These include a salt scrub, which is used to over-exfoliate the skin. It takes a long time for it to work—if, indeed, it does. Moreover, this treatment can leave lasting damage and scarring to the skin, due to the intense scrubbing. A variation on this method is using salt and lemon. To do this, you mix salt and lemon together to make a solution. You then need to soak a cotton ball in it and apply it to the tattooed skin. Leave it there for around an hour at a time, to soak deep into the skin. This is supposed to work on breaking up the pigments, but is rarely, if ever, a success. Now you know more about how tattoos work, you will understand why it is so difficult to remove them.